Did you know that depending on where you live, your electricity and gas might be more expensive? Or that the price of your energy is dependent on things like how many customers your energy company has in the area? This guide will tell you everything you need to know about regional energy prices, including what goes into your bills and how you can keep them low. This refers to the wholesale market, which your energy supplier buys your energy from. Usually, an energy supplier will purchase a certain amount of energy that will cover a set period for a set amount of customers. This is usually why your supplier can offer you fixed prices for a year or two, as they have already bought the energy. On the other hand, as these open market prices increase and decrease due to a lot of outside factors, if you are on a variable tariff your energy bill will reflect this. It is also why energy companies are announcing so many price increases in 2018, as they are citing the rising wholesale costs. Transmission and distribution companies distribute the energy from its source to your home. These are the networks needed to deliver a reliable flow of energy to homes and businesses in the UK. Energy suppliers have to pay to use of these networks. Operational costs refer to the typical costs of running an energy company. This includes the rent for buildings, salaries, customer service and things like that. There are government schemes and initiatives that can help you reduce your carbon emissions and help the environment. The price of your energy by region depends on a few different factors. How much energy your supplier buys from generators. Your supplier distributes most of the energy through your local distribution networks. The main 14 networks in the UK are owned by six companies, which may charge suppliers a different fee. According to the data, the cheapest region to live regarding energy prices is the East Midlands. 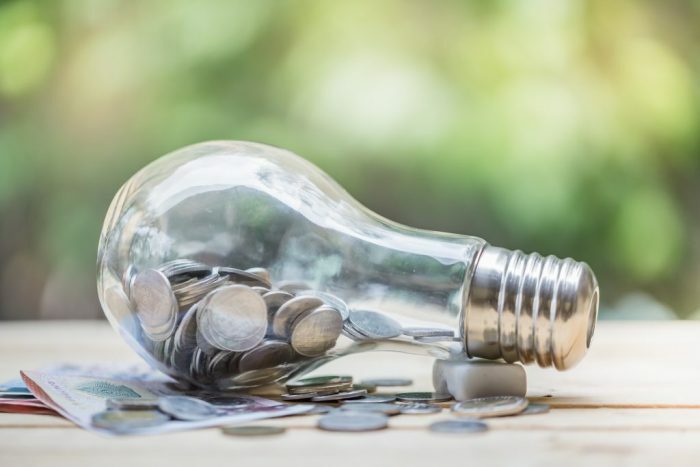 This is often due to demand, as the more households that are supplied energy, the cheaper the price per unit of kWh is. The more expensive region to live in for electricity is in North Wales. While the most expensive region to live in for gas is in London. Do you live in an area where gas or electricity is more expensive? Did you know that you could be saving over £200 on your energy bills every year?